Screening & Q&A with director Amber Fares. Award-winning director and cinematographer Nadia Hallgren who has worked with Michael Moore and Laura Poitras amongst others will be moderating the Q&A with the film's director Amber Fares. 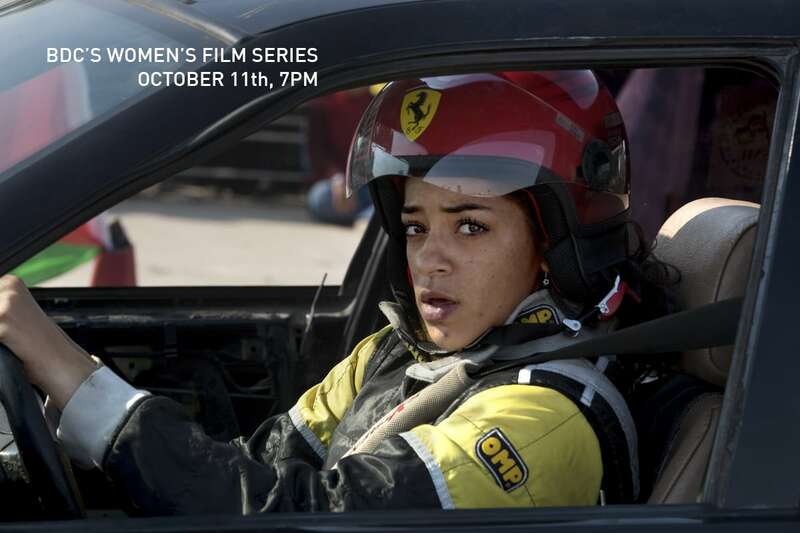 Speed Sisters is the third screening in our 3rd Annual Women's Film Series which runs from Oct 4-14th, showcasing an incredible lineup of talented directors and award-winning documentaries. AMBER FARES is an award-winning documentary filmmaker and photographer. Her feature-length directorial debut Speed Sisters premiered at Hot Docs in 2015, where it was one of the top 20 Audience Choice Awards, and won the Audience Award at the Irish Film Institute Festival. Speed Sisters is currently playing in film festivals around the world. Amber’s continually expanding storytelling approach is driven by the belief that personal stories can best help connect audiences to important topics and issues and has worked with organizations like UNRWA, Defence for Children International and Amnesty International. Amber co-founded SocDoc Studios to produce story-driven films that explore social issues.